I have a pivot table chart I would like to display on a Sharepoint page. Fast forward to 2mins 58sec in this Kalstrom video where he inserts an Excel chart in to a web page. I'd like to do the same. I'm using SP 2013 On Premises. I've found a few good posts where a web part called Excel Web Access is used; this web part is part of a group called Business Data. I don't have this web part. I'm also open to finding other ways to display the chart. In the past I have saved the Excel tab (chart), I thought I'd mention that as an option to others in the same situation as me. It seems you are running Sharepoint Foundation not Enterprise so you don't have that features available. Have a look at this thread it may give some ideas about alternatives. I found I could achieve what I needed another way, so I didn't need to mess with Features in the end. I found I could save individual Excel tabs as .htm/.html web pages. I saved these to a Wiki Page Library. For each graph I created a new wiki page and used the Page Viewer web part to embed the .htm/.html file I created from Excel. Make sure you save them all in the same place (i.e. the same Wiki Page Library). Then I made a new page as a Graphs Menu, just a simple page with links to the wiki pages, just to make it easier for the users to find the graph they are interested in. Not the answer you're looking for? Browse other questions tagged 2013 chart-web-part excel-web-access-webpart on-premise or ask your own question. 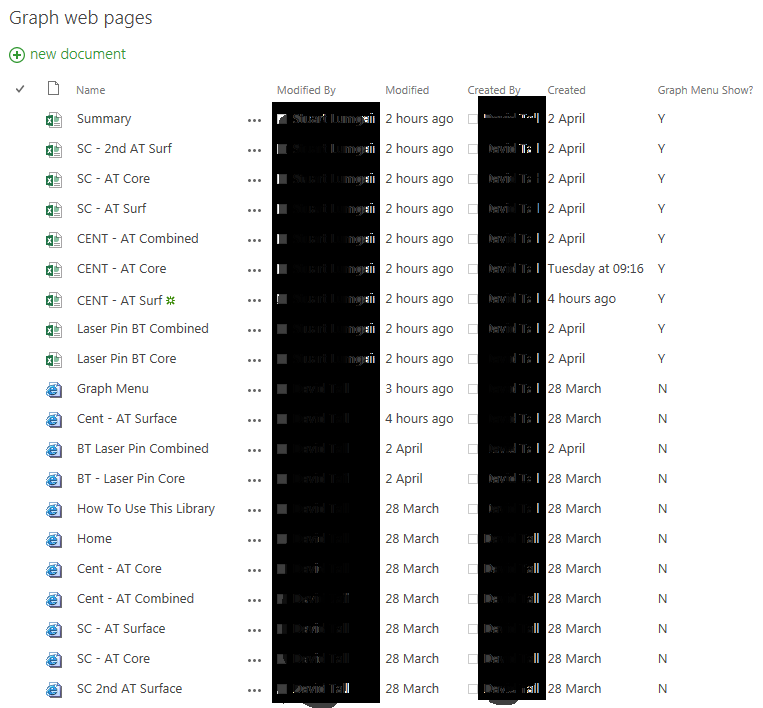 SharePoint 2013 (Office 365) - How do I chart a list?